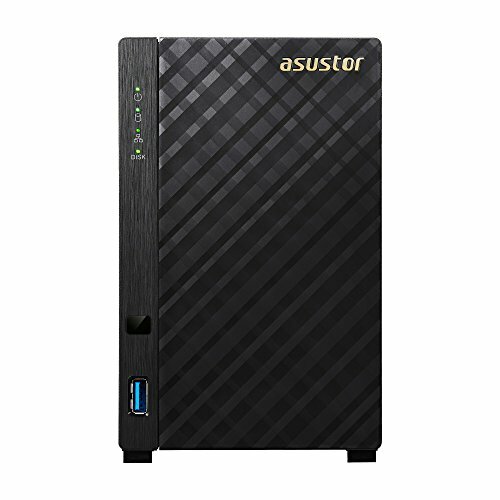 The ASUSTOR AS3202T NAS is powered by an Intel Celeron quad-core processor, 2GB of memory, and features read and write speeds of over 112MB/s and 110 MB/s under RAID 1. It supports simultaneous cross-platform multi-user access from different devices, centralizing backup and digital data storage. It also provides simple, high performance, energy efficient download services and multimedia streaming. The AS3202T is equipped with H.265 4K ultra high definition multimedia playback support along with a HDMI 1.4b port. USB DAC support provides ultimate audio visual clarity and allows you to experience multimedia entertainment that is a cut above the rest. Its sliding outer cover design and hand screws allow for easy installation and setup in just minutes.